Make your ceilings perfect with new paint jobs, light fixtures, ceiling fans and sun roofs. We do all the wiring and construction quickly and in a way that is guaranteed to keep you in mind. Unlock the usability of your ceiling with our ceiling and fixture installations. 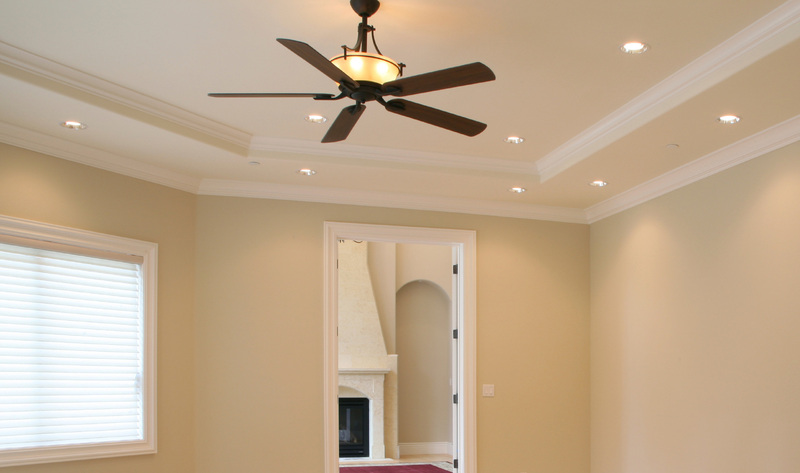 The experts at Trinity will help you choose from a wide variety of ceiling fan styles and we install them in a way to maximize their beauty and function. Let us complete the image you are making for your home with new ceiling paint jobs as well! Using the choicest and most rugged materials, we will get your ceiling remade in a style that matches the rest of your home. And it looks great too. All services we provide come with the Trinity Promise: to give you a product that will make you and us proud in a way that keeps you happy. Feel free to call at 813-644-9517 or the form on the right of this page to get in touch.